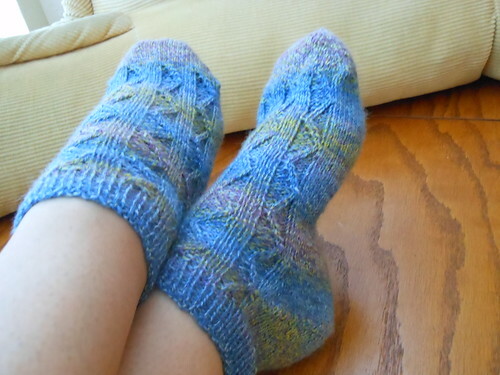 New Pair of Cranked Ankle Socks! Since the move, all my yarn and projects, everything is packed, awaiting the development of my future office, for now it waits paitiently all boxed up. 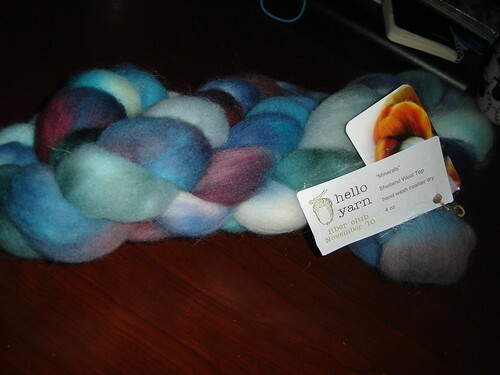 I recently finished another project and was itching to start a new project but just couldn't muster up the task of digging thru the packed boxes to choose a yarn and I'm being careful on my budget, so no new yarns for me 8(, gosh is that hard to stick too. It's an addiction, I swear! 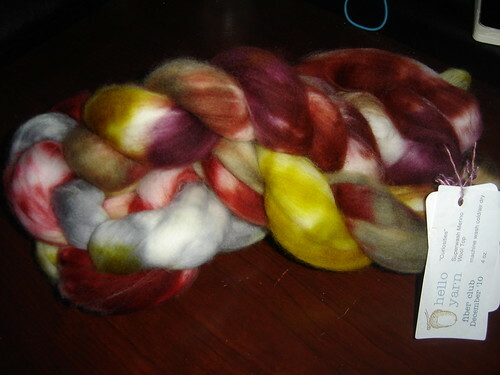 Anyways, I got lucky, and before we moved, I had stashed a few projects in my beautiful Lantern Moon Flower Power Bag. 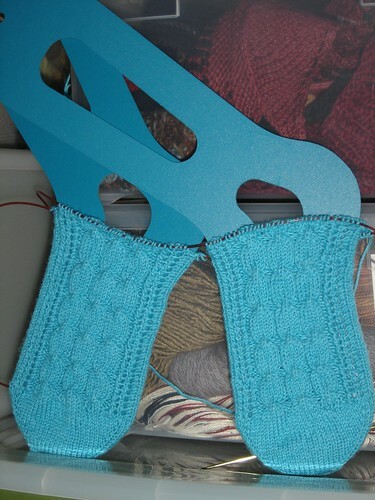 I choose to finish the Cranked socks I had started back in April 2011 for the Knit Purl Hunter KAL. 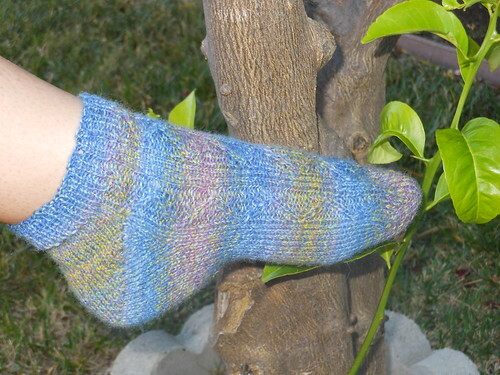 I don't remember why I didn't finish the socks back then, probably moved onto another project. 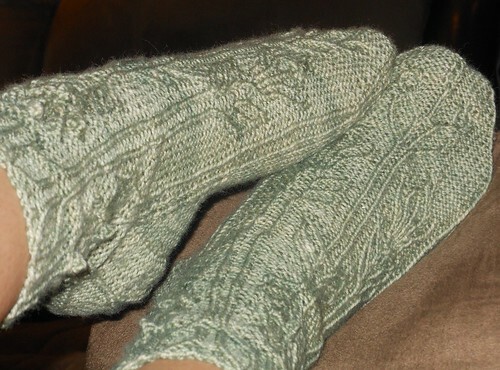 I picked these up again this past week and turned them into ankle socks. I absolutely love ankle socks, and these came out with a perfect fit. 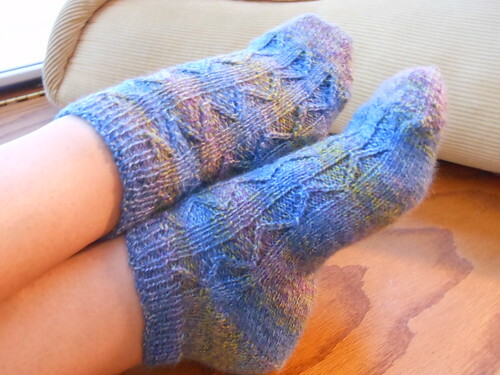 It's always nice to have a new pair of socks done. 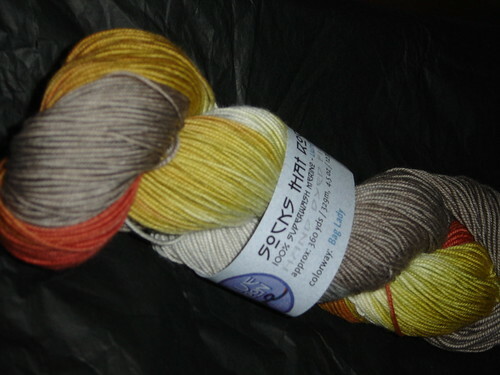 Yarn: Trekking Maxima Color #906 from Green Planet Yarn LYS. 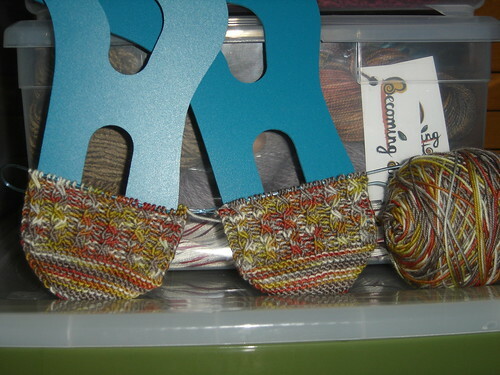 Socks that Rock Lightweight in "Bag Lady"
Clue 2 released last Saturday, 1/8, I started one repeat on 1/9. Knitting time over the last few days has been minimal, sometimes it seems like no matter how hard I try to get knitting time, something interrupts! 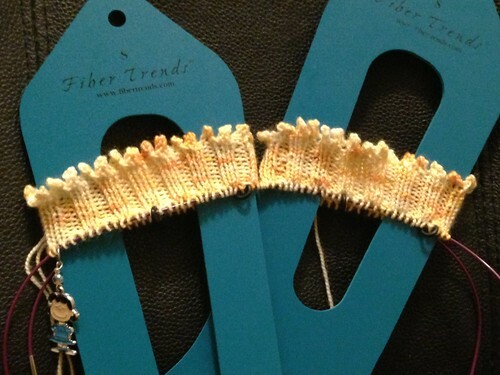 Clue 2 was pretty easy, basic edging eyelet lace columns, similar to Feather andFan, and then the inside columns are the Axis Cables, which are really the same as a cable but you actually cable the stitches that are hanging on the cable needle. 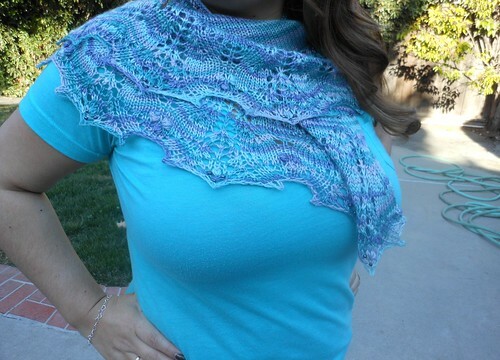 I did mines without a cable needle, the less needles I can knit without the happier I am. 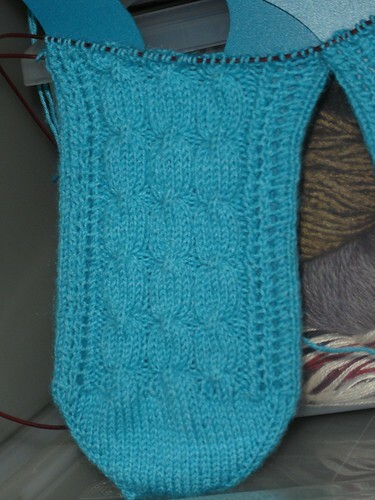 The first row doing the cables was the learning curve, just getting my method down doing the axis cable. 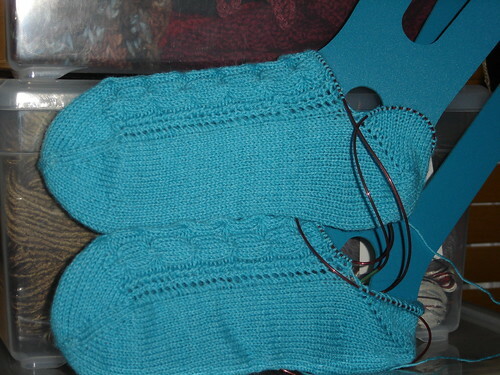 I finished clue 2 earlier today, seemed like I was fighting just to get time to work on the socks. Here they are all ready and waiting for clue 3!